Days after an eastern Ohio hazardous-waste incinerator malfunctioned and sent an ash cloud over surrounding neighborhoods, tests showed high levels of arsenic and lead on a nearby backyard play slide and a pickup truck. The findings were “problematic,” according to an email sent by an Ohio Department of Health program administrator to colleagues after the July 2013 incident. The email said the amount could have been harmful in the short-term to a child. The levels of lead on the backyard slide in East Liverpool were more than twice the U.S Environmental Protection Agency’s soil standard. Levels of arsenic and lead on the truck were even higher. But when the Ohio EPA announced this week that it had reached a settlement with Heritage Thermal Services concerning the malfunction, the state said that any “impacts were determined to be minimal” by the health department. Under the settlement, Heritage will pay the Ohio EPA $34,000 for the 761 pounds of ash that spewed into the surrounding area. The company also is required to make changes to prevent future problems at the facility, located about 175 miles east of Columbus along the Ohio River. The east end neighborhood of East Liverpool caught the brunt of the ash cloud. About 14 percent of the residents there are unemployed and 12 percent earn less than $10,000 a year, according to the U.S. Census Bureau. Heritage hired a contractor to perform tests after the incident and sent the results to state health officials along with risk assessments. The email from the Ohio Department of Health program administrator suggests he was not impressed. “I thought the description of arsenic toxicity was rather benign — I especially liked the part implying some exposure is good for general health,” Bob Frey, the administrator, wrote in August 2013. “Arsenic is an acute and chronic poison and a known human carcinogen,” he said. On Thursday, Frey said the Ohio Department of Health relied on tests from both the Ohio EPA and Heritage’s contractor to determine health risks associated with the ash release. He said both the EPA and the contractor tested soil in neighborhoods around the incinerator at the end of July 2013 and found slightly elevated levels of arsenic. Those levels were low enough, though, that state health officials believed they presented no long-term health threats, Frey said. Arsenic poses a bigger health threat when it is ingested, Frey said, so health officials were most worried about children who might have been exposed. However, Frey said that health officials wanted the plastic slide tested “as soon as possible.” He said he didn’t know whether those follow-up tests were performed. The Ohio EPA could not answer that question and others on Thursday. The settlement comes as the U.S. EPA is conducting its own investigation into the incinerator. The feds released a report in March that said Heritage repeatedly contaminated the air around the incinerator from November 2010 through December 2014. Heritage is fighting those findings; the business and agency were scheduled to meet sometime this month to discuss the investigation. The incinerator burns about 60,000 tons of waste too toxic for landfills each year. It employs about 180 people. Heritage drew international attention in the 1990s when residents and environmental groups protested its construction. The incinerator overlooks the Ohio River, about 30 miles downstream from Pittsburgh and at the time was within 1,100 feet of an elementary school. The school has since closed. The Ohio EPA will put $6,800 of the Heritage fine into its Clean Diesel School Bus Fund. The rest, $27,200, will be equally split between the EPA’s air pollution control program and the agency’s Environmental Education Fund. Zero Waste Europe publishes a new case study and video showing the transition of Gipuzkoa towards zero waste. This province located in the Spanish Basque Country has almost doubled recycling rates in five years and made investing in an incineration plant obsolete. In 2011, the Province of Gipuzkoa decided to scrap the plans to build an oversized incineration plant and took steps towards Zero Waste, arguing that the plant was highly resource-consuming and it heavily endangered the circularity of resources. On top of saving € 250 million, Gipuzkoa has managed to meet EU targets 5 years earlier than expected. Today, the province separately collects 51% of its municipal waste and plans to meet 70% by 2020. These improvements are even more significant when considering that only one fifth of Gipuzkoa’s population live in municipalities that have followed a transition, which prove that the results of these municipalities are outstanding, some of them above 80 or even 90% of separate collection. The drivers behind this change have been: political will, citizens mobilisation and participation, prioritisation of biowaste collection, intensive separate collection at source and not having built incineration capacity which would hijack prevention, reuse and recycling. In less than five years, Gipuzkoa has moved from pushing for an outdated finalist treatments for waste to become Spain’s leading province in recycling, being above EU’s 2020 targets, and 12 points above Spanish average. Gipuzkoan towns have also proved that kerbside collection remains cheaper than roadside containers, while creating jobs and local economic activity. Today, these case studies show that, in contrast with the outdated idea of burning or burying our waste, preventing, reusing and recycling it create jobs and resilience, save money, and protect the environment and public health. Without major reforms climate change could trigger a discontinuity in the long-term progression of humanity, academics warn in The Lancet. 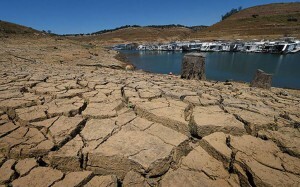 Climate change threatens to undermine the last 50 years of advances in medical health, scientists have warned as they published a major report outlining the threat of global warming. The authors from University College London and the University of Cambridge called for major policy changes to cut pollution including phasing out coal-fired plants and investing in green cities, energy and transport. 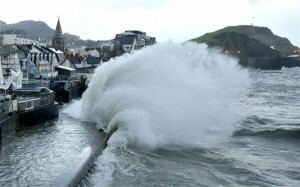 In the report, published in The Lancet, the authors argue that the risk to human health posed by climate change has been widely underestimated and that flooding, droughts and heatwaves are likely to have a much greater impact. Current predictions by the World Health Organisation suggest that 250,000 people a year could die worldwide by 2030 as a direct result of climate change but they do not take into account factors such as that the population is ageing and will be more vulnerable. Food shortages or displacement of people is also likely to lead to civil unrest and wars. “Climate change has the potential to reverse the health gains from economic development that have been made in recent decades – not just through the direct effects on health but through indirect means such as increased migration and reduced social mobility,” said Professor Anthony Costello, Director of the UCL Institute for Global Health. Professor Hugh Montgomery of UCL’s Institute of Human Health and Performance added: “Climate change is a medical emergency. It thus demands and emergency response using technologies that are available right now. The report calls on governments to phase out coal-fired power plants and improve cities to promote healthy, greener lifestyles, making them better places to walk and cycle to cut pollution and obesity. They also recommend insulating more homes and buildings to cut energy use and cold-related deaths and disease. Politicians should also bring in carbon pricing to push up the price of high carbon goods and services to make people change their behaviour, while reducing the cost of other taxes such as VAT, boosting investment or cutting the price of low-carbon technology. This could mean the cost of flying going up, perhaps with a hike in air passenger duty for flights after the first flight a person takes in a year, pushing up the prices of the “short hop, short-term, leisure travel, stag-parties in Barcelona”. People would have more money in their pockets from cuts to other taxes and if they “really valued those stag nights in Barcelona, they can still do it but they’d have to give up more in order to have it”, he suggested. The health sector needed to take action too on clean energy, finding ways to deliver health services to patients without them having to drive to hospitals or switching asthma sufferers over to inhalers which do not use greenhouse gases, the commission said. An estimated one trillion US dollars (£630 billion) would be needed each year up to 2050 to tackle climate emissions from energy, on top of the 105 trillion US dollars (£66 trillion) which would be required anyway for the energy system up to mid-century. But with people spending 6.8 trillion US dollars (£4.3 trillion) a year on health, and with the “kind of health risks coming down the line if we don’t stick to 2C, that is a very good precautionary investment”, Prof Ekins said. Cutting air pollution as part of efforts to tackle climate change, for example by reducing transport emissions or coal-fired power stations, in the EU alone could save 38 billion euro (£27 billion) a year by 2050 due to reduced deaths, the report said. And the experts warned climate change was not a distant problem that would happen somewhere else but an “immediate and grave threat” that, like a patient who was gravely ill, needed action straight away with the technology available. The new Lancet report on health and climate change, which follows on from a previous commission convened on the issue in 2009, is published in the build-up to key United Nations talks in Paris in December on securing a new global climate treaty. Mr. Wilson Fung Wing-yip from the Hong Kong Airport Authority (AAHK), several others and I spoke on May 23 at the “Beyond the Three-Runway System” forum. Mr. Fung is one of the ex-Administrative Officers whom I admire the most. He is eloquent and sharp-witted. He knows his stuff. However, he is also the will-o’-the-wisp that lures his audience into the Trap of Logical Fallacy. I have always been in full support of expanding the Hong Kong International Airport (HKIA) in sync with the socio-economic growth of the city. Where I disagree is with the idea that the “Three-Runway System” (the 3RS) is the best option. When Mr. Fung became Executive Director (Corporate Development) of the AAHK back in 2011, his most important mission was to hard-sell the 3RS proposal drawn up by his predecessors. The almighty AAHK, despite having the experience of formulating three HKIA Master Plans, opted for the 3RS, the least efficient and cost effective of the plans. This might be due to the fact that the 3RS could be implemented within the shortest time frame. This is the same logic that animated the initial introduction of the Chek Lap Kok Replacement Airport project back in 1989. Airlines, logistic companies, and other air transport-related industries and unions (except the flight attendants unions) would support whatever expansion project for the airport was proposed as they are not the ones to foot the bill. In general, the business sector, construction sector, professional consulting sector, subcontractors and suppliers also backed the proposal in the hope of getting a share of the financial benefits the 3RS might bring. Those antagonists are seen by some as busybodies who challenge the Government’s authority for the sake of doing so or as radical environmentalists who push their ideals at the cost of hindering social development. Many also think that the issue is too complicated for them to comment on. Worse still, there is an obvious lack of thorough analysis by political parties and lawmakers. In these people’s minds, the 3RS seems unalterable, a ‘take it or leave it’ proposition. Under such circumstances, the AAHK is close to claiming victory in what should have been a scientific and rational skirmish of policymaking. Fallacy #1: The planning process is well justified. First, since the Chek Lap Kok Replacement Airport started operation in 1998, the AAHK formulates an HKIA Master Plan looking 20 years ahead. Three master plans so far are updated every five years with regular review. This practice seems systematic and reliable. Truth be told, however, this is exactly what undermines the AAHK’s strategic planning and ability to grasp the best timing to implement appropriate development components in steps with demand. The five year review builds on past reports, but the original sin of Chek Lap Kok has never been addressed, nor corrected. In the beginning, the AAHK failed to address the geographical limitations of Chek Lap Kok before the airport was built. Constrained by the mountainous terrain of Lantau Island, the two existing runways cannot operate independently from each other due to wind shear and obstacles to certain approaches. Additionally, HKIA’s airspace overlaps with some other airports in the Pearl River Delta region, which further restrains runway operation. Second, previous master plans have never looked farther than 20 years ahead. The AAHK claims that long-term forecasts lack credibility because nobody can accurately predict what is going to happen in the future. However, the golden rule when it comes to planning strategic transport infrastructure is ‘long-term vision, one-off planning, incremental implementation, and constant review’. In other words, we should first set out a general framework, and then implement it step by step according to the needs for air transport and economic development each time. Frankly, the AAHK should come up with a planning framework that is expandable, sustainable, technically feasible and financially attainable. It might even articulate a grand proposal that is expected to support as many as four to six runways, in which lands should be reserved for future expansion, and related infrastructure planned beforehand. Third, when formulating the five-year plans, the AAHK did not carry out any interim review examining the discrepancy between previous assumptions and the actual demand situations. Had the AAHK had done that earlier; it would not have been caught in this awkward situation. It was not until 2015 that the AAHK “suddenly” realised the actual demand in 2016 would exceed the airport’s capacity, while expansion projects remained stagnant. Fourth, other viable proposals, such as construction of a second airport or collaboration with airports in Shenzhen and Zhuhai, were never considered seriously by the AAHK. The Executive Council never got to consider other proposals except the one and only one recommended by the AAHK. Fifth, the AAHK did not provide an Air Traffic Impact Assessment (ATIA) report when it presented the 3RS to the Town Planning Board (TPB). The TIA is an indispensable technical document that is required whenever a development proposal is submitted to the TPB for approval. According to the AAHK’s estimation, the total passenger throughput of the major airports atop the Pearl River Delta estuary will reach 300 million by 2030. One could imagine how overcrowded our airspace will be by that time. In the absence of an ATIA, AAHK failed to provide a Safety Risk Assessment (SRA), in accordance to International Civil Aviation Organisation (ICAO) Annex 19, on the worst scenario – during the busiest hours while anticipating bad weather conditions coupled with missed approaches and aircrafts’ mechanical failures, etc. Real Time Simulation (not only Fast Time Simulation) of aircraft movement patterns under these scenarios considering the flight paths, escape avenues and queuing loops, etc. 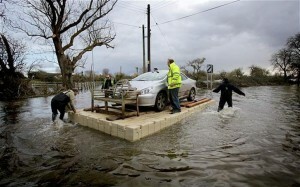 will demonstrate if the assumed design capacity of the 3RS could be achievable or otherwise. This uncertainty will cast doubts on the operation-effectiveness and cost-effectiveness of the 3RS. Such planning and decision process and procedure are likely to be subject to challenge and judicial review when the TPB gazetted the Chek Lap Kok rezoning plan on May 8. The AAHK consistently claims the 3RS has gone through public consultation and is widely supported by the public. It is true the AAHK commissioned a survey conducted by the HKU Social Science Research Centre from June to September 2011, in which 24,000 respondent questionnaires were collected. According to the poll results, 80% of respondents agreed that the plan for airport expansion should be finalised as soon as possible. However, respondents were only presented with two pre-selected options: to stick with two runways, or to build the 3RS. Two other options, ‘dual airport system’ and ‘Cross-Pearl River Delta collaboration’ simply went unmentioned. How can this survey be credible? As mentioned, when the total passenger throughput of the five airports in the Pearl River Delta region amounts to 300 million, airspace constraints and risk management concerns mean all airports in the region might not be able to provide adequate aircraft handling capacity for the demand. The interests of different airports might be balanced by technical and management measures; but if conflict does occur, we cannot be sure of the Central Government’s attitude. It might be supportive of Hong Kong today, but it is uncertain whether it will remain the same tomorrow. Unlike border checkpoints, which are managed solely by Customs, airspace is under the portfolio of the PRC State Council, where the military has a stake. The Central government welcomes Chinese cities to develop their own airport facilities according to their respective needs and advantages. The key question is, however, how is the Central government going to handle economic conflicts among cities? Overshadowed by distrust between China and Hong Kong, ‘domestic diplomacy’ might not be the once-and-for-all solution to the conflict. Why don’t we build a second airport to the south of Lamma Island? Far away from the delta, embracing the South China Sea, where our planes can fly freely. Being further away from the PRD estuary, there will be ample space for Hong Kong’s aircrafts to climb up gently before entering the prescribed altitudes within the mainland boundary. Overlapping airspace is definitely avoidable. This argument is founded on unsound presuppositions about the aircraft handling capacity of a runway system is determined solely by the mode of operation, be it independent operation, semi-independent operation, take-off only, or landing only. It is oblivious of other possible situations, such as bad weather, engine failure, missed approaches, and more. More importantly, airspace limitations would make the 3RS prone to delays and cancellations under Chinese air traffic control. In that case, it would not be able to realise its full capacity. China-Hong Kong integration is the most logical result of geoeconomics. That said, co-opetition between Pearl River Delta region and Hong Kong might carry on regardless. It was proposed that the Shenzhen International Airport (SZIA) would open more domestic routes to second-, third- or even fourth-tier mainland cities, which actually makes a great deal of sense. Currently, Cathay Pacific (wholly owning Dragonair) and the China Air are in a state of mutual shareholding. Having the SIA take over the direct flights to second- and third-tier mainland cities is certainly a viable option. Unfortunately, the Hong Kong-Shenzhen Western Express Railway connecting HKIA-Hung Shui Kiu-Qianhai-SIA might be stalled due to high costs and low returns. However, planners should consider how we might enhance other modes of transport between HKIA and SIA by land and by sea. This is true for the time being. But in the long-term, by enhancing the connecting transportation between HKIA and SZIA, the role of HKIA as a global air travel hub would be reinforced. For example, if one travels from Paris to a third-tier Chinese city like Jingdezhen, he might first arrive at HKIA, and then transfer to SZIA for Jingdezhen. More travellers would actually consider Hong Kong as the endpoint of their journey. Hong Kong would appear more appealing as a tourism destination. Moreover, under smaller traffic pressure, Hong Kong would be able to open new air routes to emerging markets and cities along ‘One Belt One Road’. Some dual airport systems do fail, but that does not necessarily suggest that all dual airport systems are bound to fail. It depends on the site selection, connecting transport infrastructure to the central business district (CBD), and complementary services and facilities. Shanghai’s Hongqiao Airport and Pudong International Airport are relatively successful examples of dual airport systems. Fallacy #8: The price for environmental conservation is economic development, which is a cost too high for our society. The proposed site of the 3RS is also the habitat of Chinese white dolphins and a fishing area. In the process of building the 3RS, the government will have to maintain the dolphins’ habitat and compensate fisheries. These huge costs are not all included in the estimated costs of the 3RS. If there are other alternatives, such as building a second airport, the government would be free from these extra perpetual financial burdens. The AAHK is in a healthy financial state right now, generating a cumulative profit of HK$35 billion for the government up to date. However, if it is to pay over HK$200 billion (probably due to inflation and cost overrun) for the 3RS , that might require the borrowing of HK$100 billion instead of the currently planned HK$50 billion, it would be a rather great impact on the AAHK’s finances. Following the high construction costs, the maintenance and service costs might undermine HKIA’s competitiveness as well. At the end, the deficit would have to be borne by the AAHK’s sole shareholder–the Hong Kong government. This would only apply if the proposal pre-selected by the AAHK would eventually get through the statutory planning procedure, thus forcing Hongkongers to ‘pocket’ the 3RS for the time being. Once the white elephant project has taken off, there is little LegCo monitoring can do. I must reiterate that I support the AAHK’s continual investment in expanding and enhancing the airport facilities, but that must come with operation- and cost-effectiveness, acceptable environmental impact, and planning sustainability. I call for the government to re-evaluate its plans to expand the airport, and compare different options rationally, scientifically, and objectively. There should be public discourse regarding the different aspects of the project, including the economics, the social impact, sustainability, and China-Hong Kong integration. The High Court’s decision on May 20 to approve two judicial reviews regarding the environmental impact assessment certainly has sound reasons. Where there is danger, where there is opportunity and this is the crucial hour. It was predicted that the judicial reviews might take as long as four years, and that would offer sufficient time for redesign and re-planning. Once a consensus is reached, opposition voices would naturally disappear, and the project could be carried out more smoothly. In response to Transport and Housing Bureau’s wishful thinking – “t is not ‘why and whether’, but ‘when and how’”. I believe plans for expanding the airport should return to the question of ‘what and where’. Truth arises from discourse. Dichotomic language and hard-selling should come to an end. If the Three-Runway System still emerges to be the best option after completing technical assessments and having considered all other viable options, the government should provide adequate explanations and facts to convince the public. 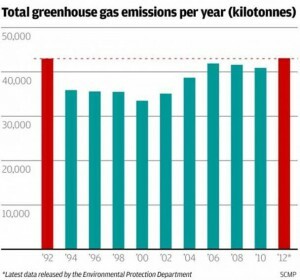 The city’s total greenhouse gas emissions rose for the second year in a row in 2012, amounting to some 43 million tonnes of carbon dioxide, new government figures show. Hongkongers produced about six tonnes per person, about the same as the year before but up from 2010, according to the Environmental Protection Department’s latest greenhouse gas emissions inventory. Greenhouse gases, such as carbon dioxide and methane, absorb infrared radiation and trap heat in the earth’s atmosphere, which leads to global warming. The city saw a 300,000-tonne increase in 2012 from 2011, which the US Environmental Protection Agency’s calculator indicates is equivalent to what 700,000 barrels of oil or 63,000 passenger vehicles would emit in a year. It was an increase of 0.2 tonnes per capita. Electricity generation, transport and other fuel uses still comprised the bulk of greenhouse gas emissions, although slight reductions in the first two categories were recorded. Greenhouse gas from waste management, which accounts for 5 per cent of all emissions, rose by 50,000 tonnes. Energy intensity – the quantity of energy needed to produce a unit of gross domestic product – appears to have held steady, however. Last month, the government set a target of cutting energy intensity by 40 per cent by 2025 from 2005 levels. The study found carbon intensity remained level in the three years to 2012 at 0.021kg per Hong Kong dollar unit of gross domestic product. Greenpeace campaigner Yeung Man-yau said it was worrying to see greenhouse gas emissions still on a rising trend over the last two decades, as they have been on the decline in other cities such as New York and Taipei. The 43 million tonnes produced in 2012 is similar to the level recorded in 1992. Emissions saw a sharp drop between 1993 and 1994, as the Daya Bay nuclear power plant opened. Yeung said a 2010 consultation document on climate change strategy had proposed to reduce greenhouse gas emissions by 50 to 60 per cent by 2020 from 2005 levels. But it wasn’t until just this year that an energy saving blueprint and consultation document on the future of the electricity market was released, setting targets on energy intensity and what mix of fuel would be used in the future. 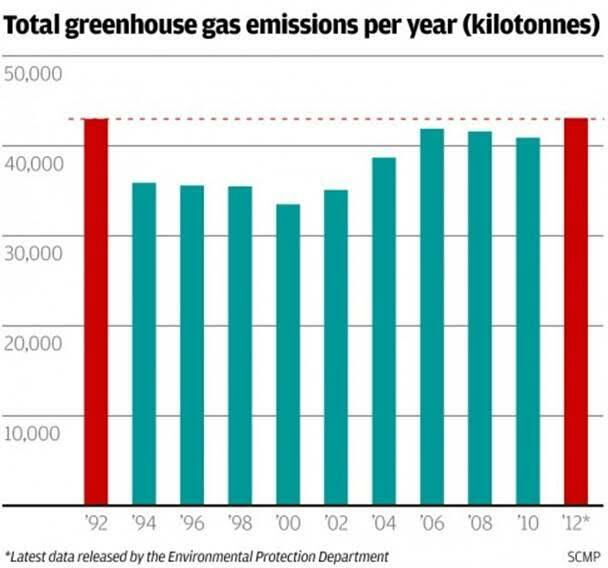 So far, greenhouse gas levels have increased since 2005. The Pope has done something remarkable. Just a few hours ago, Pope Francis released his much-anticipated encyclical, commanding the faithful to take action to protect our planet and solve climate change now. The Pope’s message calls on all of us to stop abusing the Earth’s resources and make the sacrifices necessary to combat climate change – before it’s too late. Now is the time to make the courageous, ambitious choices we need to protect our planet. Throughout his encyclical, Pope Francis makes clear: We have to do more to safeguard our common home, like reducing our consumption, tackling pollution and greenhouse gases, and transitioning to clean energy. If we don’t, we’ll face grave consequences that put our ecosystem and human life at risk, especially for less-developed countries. Earth Day Network is joining Pope Francis in calling on world leaders to take bold action against climate change. Stand with us and add your name today! An encyclical is one of the most important documents a Pope can issue, reserved for only the most pressing global matters. With his encyclical on climate change, Pope Francis makes clear that addressing climate change is a matter of social justice – and that all of us must do our part to care for the world we inhabit. I had the honor of meeting Pope Francis on Earth Day, and I was struck by how deeply he cares about protecting the poor from the devastation of climate change. But a culture of consumerism and waste is putting our planet and its most vulnerable inhabitants at risk, and we must turn the tide before it’s too late. Stand with Pope Francis and Earth Day Network: Sign the petition to urge world leaders to take action against climate change. Add your name to tell world leaders: Listen to the Pope! Now is the time to take bold action against climate change. A Tung Chung advocate yesterday applied for judicial review over the construction of the third airport runway. Tung Chung Future’s community development officer, Wong Chun-yeung, 21, filed the writ to the High Court. Wong said the Executive Council approval of the Airport Authority’s three- runway system in March is unconstitutional. Departing passengers will be charged HK$180 from next year and airlines 15 percent more to help fund the third runway, whose budget has ballooned to HK$141.5 billion. The third runway may be completed by 2023 if construction begins next year. Green Sense founder Roy Tam Hoi- pong, who accompanied Wong in filing the writ, said afterwards that there were three grounds behind the judicial review. The second and third rationales concern contraventions of Article 64 of the Basic Law, which states that taxation and public expenditure should be approved by the Legislative Council. What Drives Governments to Keep TISA, TPP and TTIP Secret? Basically, these trade agreements are being kept secret because they violate regulations and national laws for the sole benefit of large corporations. Feel better informed? They might as well have said “we talked about a lot of stuff” and left it at that. Here is something way more informative to read: a list of the 605 (overwhelmingly corporate) official “advisers” in the U.S. who have seen, and helped write, the TPP. In the USA, members of Congress and a limited number of aides can see the text provided they agree not to take notes or discuss the details publicly. Apologists for this undemocratic idiocy become irate when the TPP is called a “secret”, but, at the same time, justify hiding it from the public by claiming it improves governments’ bargaining position. Apparently we should assume that governments and their corporate “advisers” have spent years secretly fighting like demons on behalf of cab drivers, factory workers and the unemployed. In Australia, MPs are only allowed to see the TPP text if they sign a confidentiality agreement saying they won’t divulge details to the public for four years. What if the TPP is passed? Are they then allowed to talk what they saw? No. The agreement says “these confidentiality requirements shall apply for four years after entry into force of the TPP, or if no agreement enters into force, for four years after the last round of negotiations…” In the USA, the public is supposed to be impressed that Obama is required to release the full text (in exchange for getting “fast track” negotiating authority) sixty days before signing the agreement – the complex agreement government officials and hundreds of corporate insiders spent several years writing behind closed doors. Could contempt for the public, and for democracy, be any more obvious? This site jokingly claims the TPP has been already released by the Obama administration. It sums the absurdity up very succinctly. Secrecy aside, would most of the public understand the TPP – the parts that have been leaked by Wikileaks that is, or the seventeen chapters of TISA (Trade in Services Agreement) that have also been leaked by Wikileaks? No. These deals are written in technical language that requires lawyers and economists – or others who have spent a lot of time researching – to fully grasp. Now there are legal experts and economists who are not in the pockets of powerful western governments and big corporations. Such people could credibly explain what the implications of these agreements are for 99.999 percent of the public who are not among the insiders. Unfortunately, the battle doesn’t end when the details of these secret agreements, thanks to Wikileaks and other activists, are made public long before governments want them to be. We are still faced with a struggle against the corporate media that is very good at marginalizing those who explain exactly why governments and corporate insiders worked in secrecy for so many years. The secrecy is disgusting and revealing but it is also rather ineffective at this point. The leaked sections that have been published, and our experience with previous agreements like NAFTA, tells us essentially what the negotiating governments are after – ways to stuff the pockets and expand the power of the insiders at the expense of everyone else. The corporate media, not secrecy, is actually the more important barrier to fair and open debate. Dean Baker explained “TPP and TTIP are about getting special deals for businesses that they would have difficulty getting through the normal political process. For example, oil and gas companies that think they should be able to drill everywhere may be able to get rules that prevent national or state governments from restricting their activities. This could mean, for example, that New York State would have to compensate potential frackers for the ban that Governor Cuomo imposed last week. Similarly, the financial industry will be looking to roll back the sort of regulations put in place through Dodd-Frank and similar legislation in other countries. Again, if governments want to ensure that their financial system is safe, they may have to pay the banks for the privilege.” Everyone owes a special thanks to Canada’s Finance Minister for being brazen enough to argue that the US should loosen up financial regulations adopted since crash of 2008 in order to be in compliance with NAFTA. As Lori Wallach explained about TISA in this Democracy Now interview, governments and their small army of corporate insiders are working on ways to set the clock back on financial regulation – to about the 1990s! She describes a provision that is actually called the “standstill” in the text of the agreement. It is explicitly designed to prevent governments for bringing in new financial regulations that corporations don’t like. Does the public support a new ban a particular type of derivative that is going to be a disaster? Does the public want new rules that protect their privacy online? Too bad. TISA will make many new rules, and even existing ones, into trade violations. No wonder governments have insisted on keeping these agreements secret for so many years.